Description: Getting tired of reading eBooks on your Kindle, iPhone, iPod or MP3 player? Love listening to audiobooks while sleeping, crafting? Audio Book enables its users to convert any eBooks to audiobooks and listen on an iPhone, Android or MP3 player etc. All within just a few clicks on your Mac, you will experience and enjoy an exciting and wide range of voices. Enjoy it right now! Description: Text to Speech Software Audio Reader XL to read aloud text easily. Upon request, the TTS Reader works in the background and reads texts automatically. 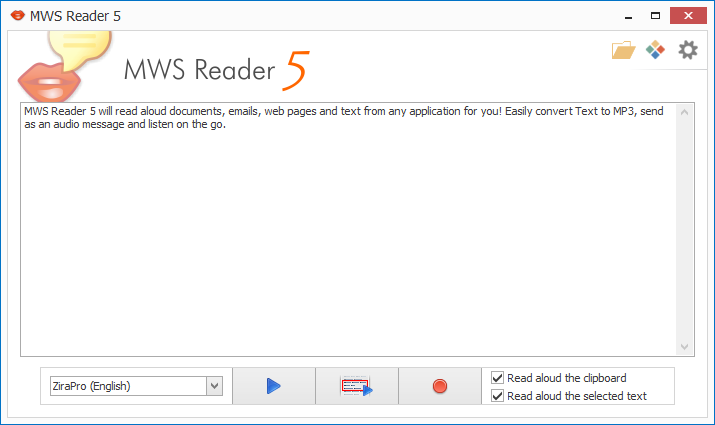 The Voice aloud Reader can TXT, PDF, DOC, EPUB, RTF, eBooks and HTML, Websites, Emails and text to MP3 . With a few hand movements, the Text to Speech Software creates MP3 files from a variety of texts. Even if your eyesight is reduced, you don't have to miss your favorite reading. Description: Text to Speech Software Audio Reader XL reads aloud text easily. It?s text to speech software for reading eBooks, texts, web pages, and creating MP3s. When you are looking for a practical Voice aloud Reader to read aloud text, then you?ve found it right here. 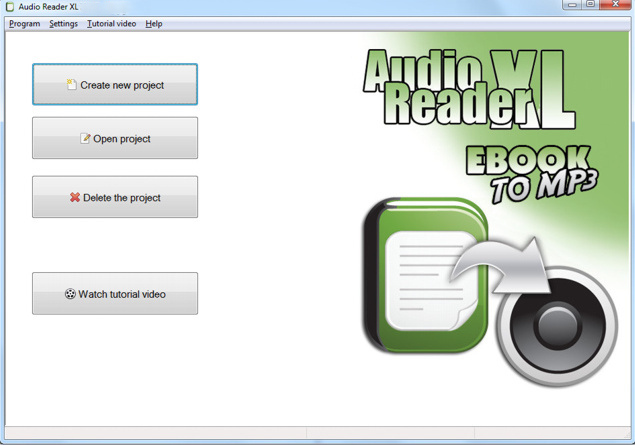 Possible formats that can be directly processed by the voice aloud reader include PDF, DOC, EPUB, RTF, eBooks and HTML files. Description: BroadCam Plus for Windows is a software that allows you to stream videos from your Windows PC. 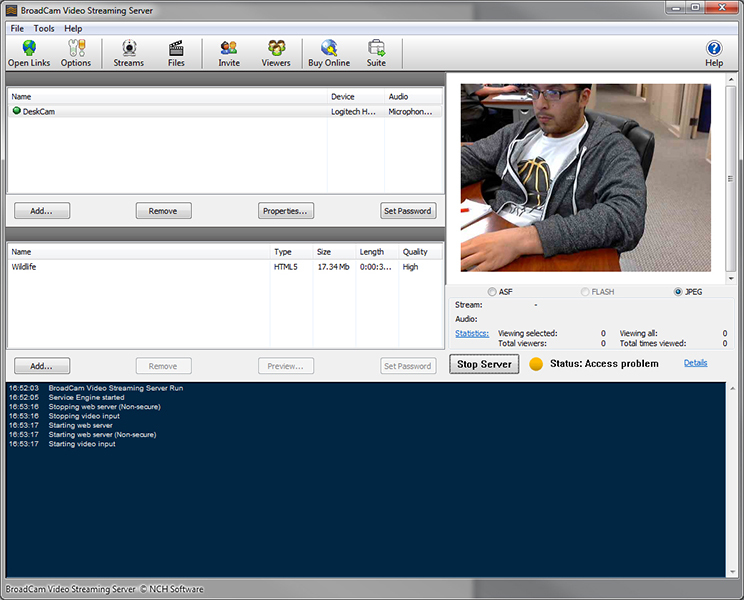 BroadCam Streaming Video Server's streams can be viewed on any device compatible with a flash browser. BroadCam is ideal for companies who broadcast video announcements or weekly video summaries. Lecturers and Educators can also benefit from BroadCam's easy-to-use features. Description: BroadCam Streaming Video Server Free is a software that allows you to stream videos from your Windows PC. BroadCam Streaming Video Server's streams can be viewed on any device compatible with a flash browser. BroadCam is ideal for companies who broadcast video announcements or weekly video summaries. Lecturers and Educators can also benefit from BroadCam's easy-to-use features. Description: Having diificulty typing your documents? Speak and let Dictation Pro type for you. Prepare your letters, reports, e-mails just by speaking into a microphone. All you need is a good-quality headset. Dictation Pro is fast, easy and fun. You'll wonder how you managed without it! Description: IVOS (Intelligent Voice Operating System) is an intelligent agent that offers both Speech Recognition and Text-to-Speech capabilities, allowing you to run your computer via voice commands. You can control the menu and sub menu of any software, including total voice operation of MS Outlook. You can use voice commands to open files, folders or websites and much more. Description: This software offers a solution to users who want to transcribe multiple spoken MP3 files to text files. The user first chooses the required files, an entire folder or can simply drag and drop them into the file pane; there's an option to load a sample file for testing. The text results of the conversion can be copied to the clipboard for easy inserting into other applications. Description: NextUp Talker is a Text To Speech application specifically designed for people who have temporarily or permanently lost their voice. With natural, human sounding voices and convenient shortcuts to quickly enter commonly used sentences and phrases, NextUp Talker allows those with vocal impairments to easily communicate with others using a windows PC or Tablet PC.